China seeks to take control of Western data and networks, the U.S. ambassador to the European Union said, in the latest warning from Washington to its allies that they should think twice before using equipment from companies such as Huawei Technologies Co.
"China is working to establish itself as a cyber power through illegal frameworks and control over data and networks," American envoy Gordon Sondland told a telecoms conference in Brussels. Chinese laws "require it's state-owned and private companies to cooperate with and share data with Chinese intelligence and security," giving rise to U.S. security concerns, he said on Thursday. The U.S. has been pushing European allies such as Germany to shun telecom suppliers "subject to foreign government control." Donald Trump's administration in December sent officials to Berlin to step up pressure on Chancellor Angela Merkel's government over Huawei, while the U.S. Embassy said allies and partners are being urged to be vigilant in ensuring network security, including when carriers award equipment contracts. The warnings may be having an impact. Last week the EU's digital chief urged the bloc's member states to consider the risk of partnering with Chinese companies like Huawei. In an interview, Andrus Ansip, European Commission Vice-President for digital affairs, said Chinese data laws have increased the risk in dealing with Chinese companies in Europe. The concern voiced by Sondland and Ansip center on China's National Intelligence Law, passed in 2017. The law mandates any organization and citizen to support and assist national intelligence in their investigations and to keep information related to such investigations. 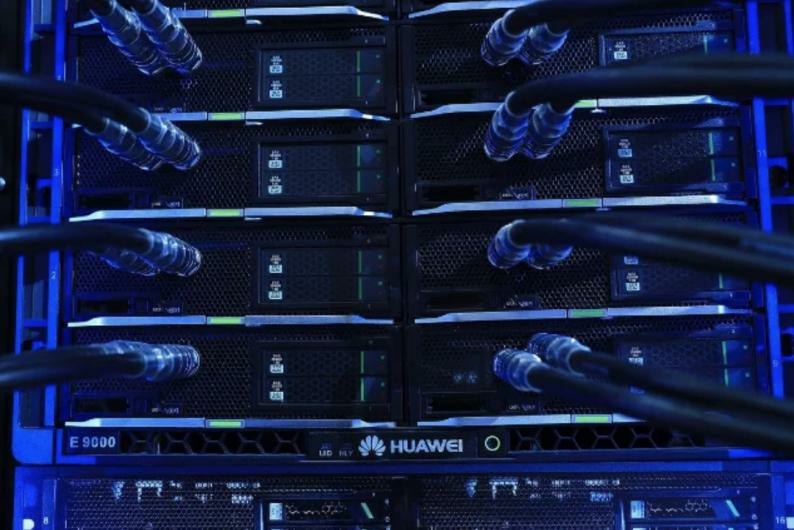 Huawei has fought back against allegations that it is an enabler for Chinese espionage, and that blacklisting the Chinese company without proof will hurt the industry and disrupt new high-speed technology. Huawei has previously said it had commissioned a legal opinion to analyze the consequences of the law. The opinion says the law doesn't require it to cooperate with state intelligence if it would contradict the legitimate rights and interests of individuals and organizations, a spokesman said. On Tuesday U.S. prosecutors filed criminal charges against Huawei, alleging it stole trade secrets from an American rival and committed bank fraud by violating sanctions against doing business with Iran. Huawei is one of the leaders in developing the next generation of network technology, known as 5G. Some countries have sought to limit the company's influence, with Australia and New Zealand banning Huawei equipment from the planned 5G networks of carriers, and other nations, including Germany, considering restricting Huawei's role. The U.S. has made the security of networks and services a priority – and this has implications for 5G, said Sondland. "This is not a decision about price or quality. This is a decision about whether or not to allow malign actors take control of your national telecommunications system," he said.